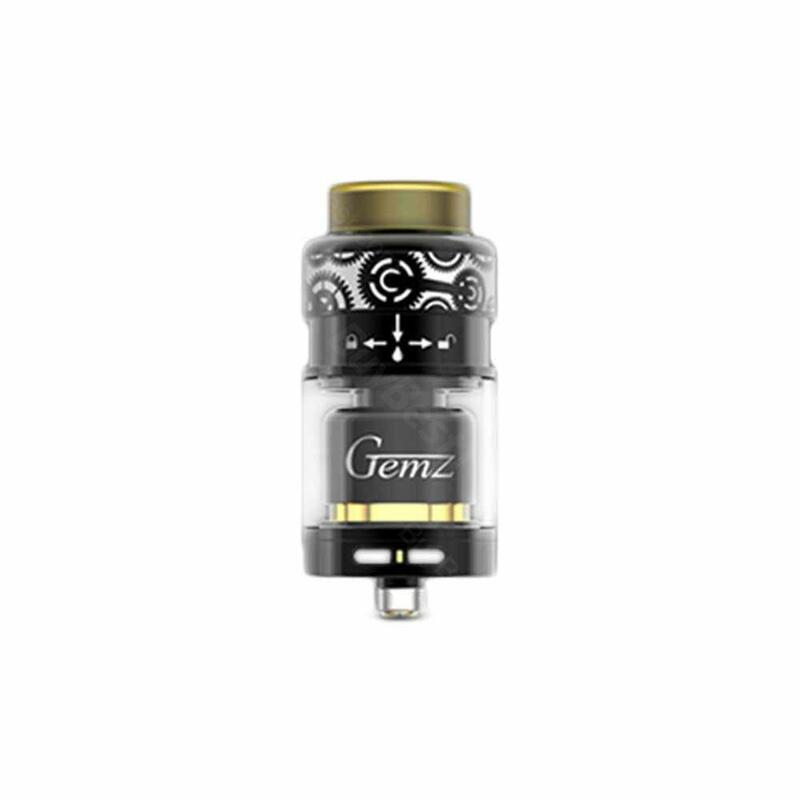 Gemz Prime Mover RTA is an innovative tank with press-and-rotate easy top filling design. Two different chimney size tanks in one RTA. 4 colors available. Gemz Prime Mover RTA is a 24mm diameter rebuildable tank atomizer. It has 3ml e-juice capacity and innovative press-rotate refilling design. There is a strong spring in between of the top filling cap and the chamber. If you pull the cap down and install the shorter extra drip tip, you will get a Prime Mover RTA with completely new look and shorter chimney. Atomizer is made of stainless steel with a beautiful finish and unique pattern. Dual beveled post deck makes the building process much easier. Prime Mover RTA is available in Black, Gold, Silver and Rainbow colors. I have to say that i'm surprised by this Gemz RTA. Great airflow, nice build deck, amazing flavor and cloud. Considering buy more of these. This Gemz Prim mover came 3 days ago, and now its my favorite rta! I'm not very happy with the shipping this time. Good thing that this prime RTA is just amazing. Love the easy top refill, nice airflow and the drip tip.